QSC presents us another efficient and reliable product: The passive E18 subwoofer comes with an 18" woofer and brings a lot of bass with its frequency range from 37Hz to 230Hz. The quality of the sound as well as of the rugged enclosure makes it perfect for every event. 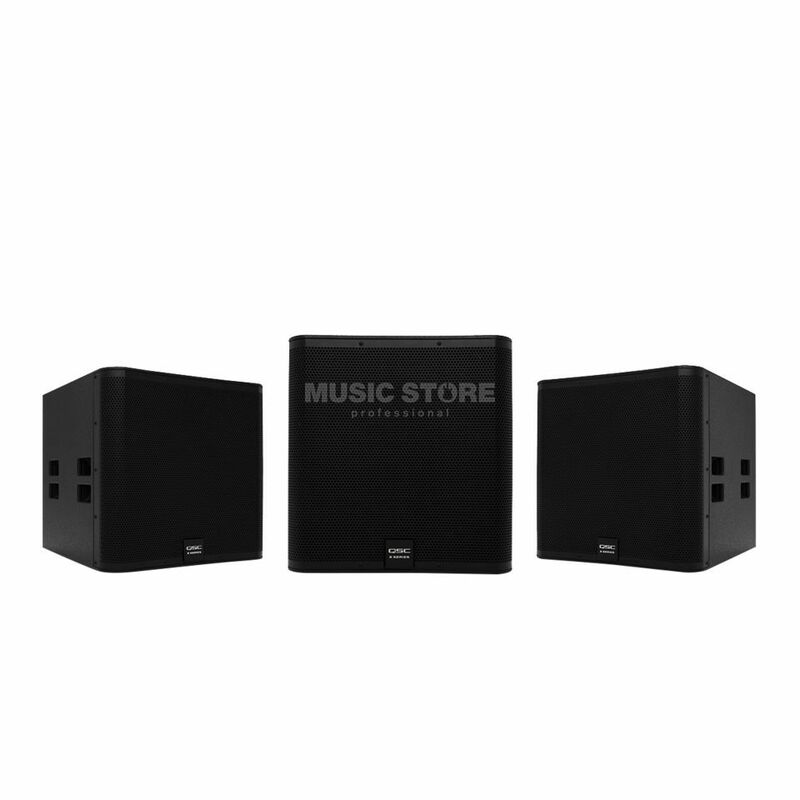 To get the best results we recommend to use the sub in combination with other products of the E series entertainment system because of diverse features which are given regarding to DSP settings. But it doesn´t mean that the speaker is not good enough for any situations: It delivers much output power (800W cont. ), is road qualified and works great with any other professionall equipment. Enclosure Rectangular, plywood, black texture paint finish. Four side-mounted handles. Rear panels provision for optional casters. Perforated, powder-coated steel grille with foam lining.